Sticker of the skeletal profile of a person. For fans of anatomy...or for fans of terror. 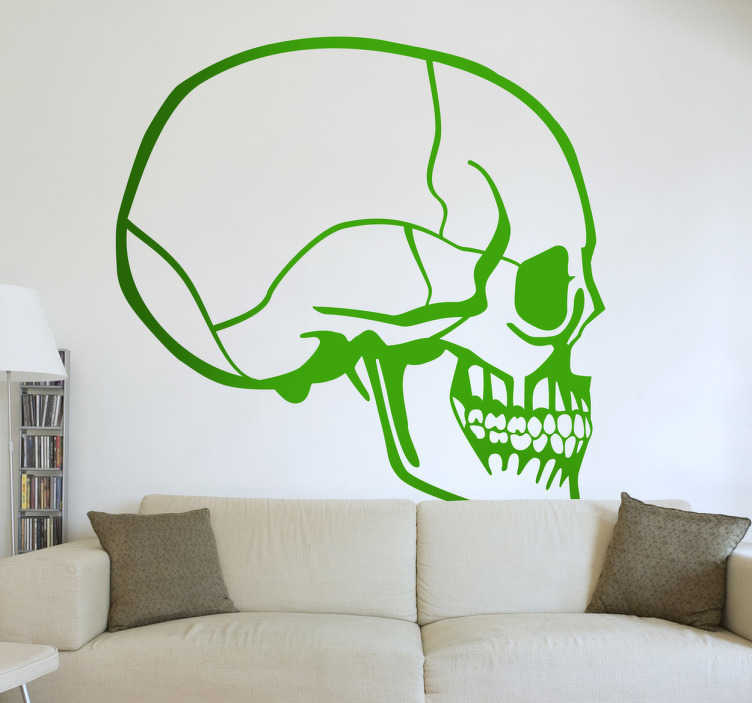 This detailed skull decal is great for decorating your home this Halloween.